Fujifilm’s first square format, fully analog film camera is finally here. 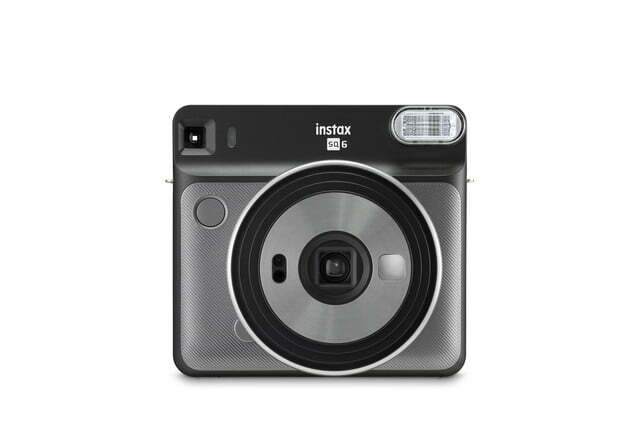 Fujifilm has announced the Instax Square SQ6, a $130 instant film camera made for 1:1 film. The SQ6 is Fujifilm’s second square camera after the SQ10, but with the first model launching as a digital-film hybrid, the SQ6 takes the title for first analog camera for the film format. Fujifilm says the SQ6 is designed as an affordable analog option for shooting 1:1 film, but the new camera isn’t entirely stripped down to the bare basics. The built-in flash uses an auto mode that automatically adjusts the shutter speed and the level of the flash for a more balanced look. If the shutter speed is set too fast in a photo with flash, the background of the image is very dark. With the auto mode, Fujifilm says the camera is designed to balance the shutter speed with the flash and the ambient light to prevent that dark background. Flash gels in orange, purple, and green are also included. Along with the auto mode, the SQ6 has a selfie mode that adjusts the flash and focus for that closer self-portrait. A macro mode allows the camera to focus even closer, with subjects as close as 11.8 inches, while a landscape mode is designed for far-off scenes. The modes allow the camera’s autofocus to switch from macro to normal to landscape mode to cover a range of distances. 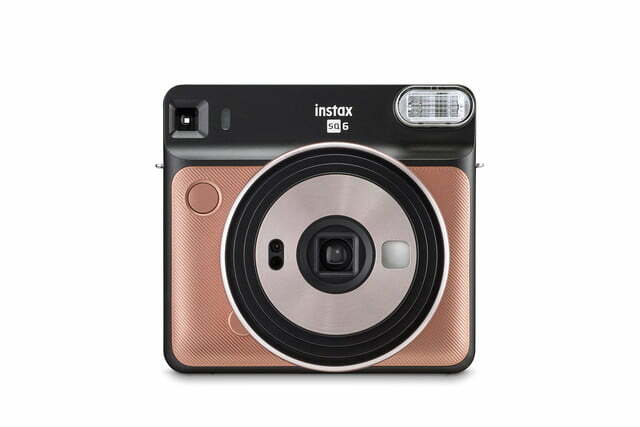 Shooting with the Instax Square film, the camera captures a 2.4-inch image. The lens is a 65.75mm constructed from two elements to retract in and out. The camera’s shutter captures a range between 1.6 seconds and 1/400 seconds. The body of the camera matches the square format of the film. An LED display displays the current shooting mode. Available in pearl white, blush gold, and graphite gray, the body also houses an optical viewfinder placed off to one side. A mirror on the front assists with shooting selfies. The camera uses two CR2/DL lithium batteries. With the launch, Fujifilm also announced Instax Square black, instant film that uses a black border instead of the traditional white. 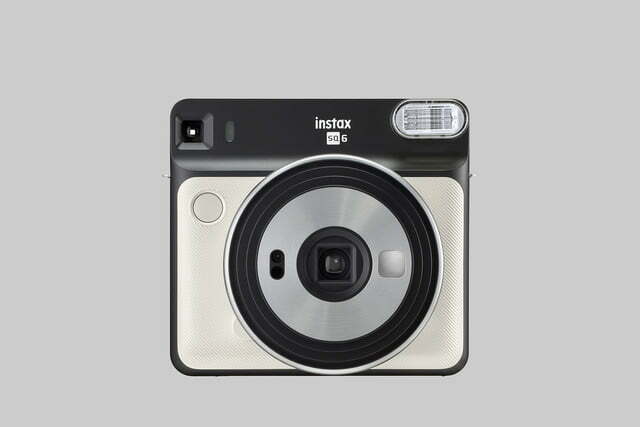 Retailing for $130, the Fujifilm Instax Square SQ6 goes on sale May 25.